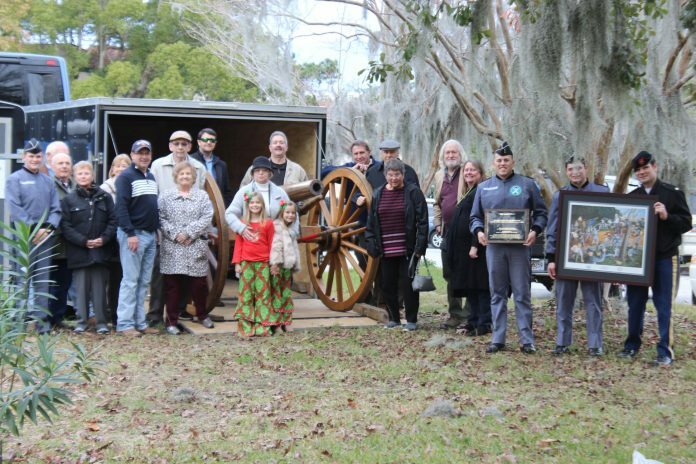 A group of people from Williamston, representing the Williamston Area Historic Commission and the Town of Williamston, recently traveled to Charleston where they presented a framed reproduction print of a painting by local artist Thomas Addison and a plaque to The Citadel. The presentation was made on the grounds of The Citadel to Palmetto Company, Sierra Company under Col. Remsen, Palmetto Battery TAC Officer. 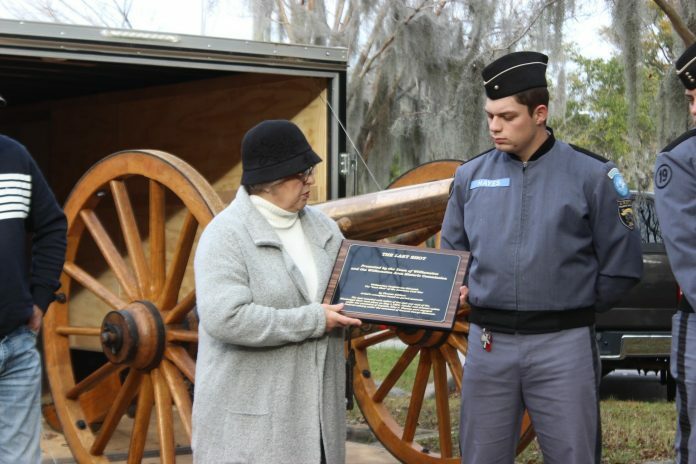 Palmetto Battery is in charge of maintaining Williamston’s historic Civil War era cannon, nicknamed “Miss Annie Lee”, which is on loan to The Citadel. Representing The Citadel were Lt. Colonel Remsen, 2nd Lt. Hayes, Cadet Captain Macewen and Squad Corporal Austin Burgess. 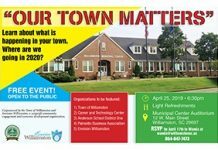 The reproduction print by Addison represents the last skirmish of the Civil War east of the Mississippi, which which took place in the Williamston Township near Shiloh Church in Piedmont. The skirmish was between a group of young Citadel Cadets on their way back to Charleston and a group of Yankee Soldiers. 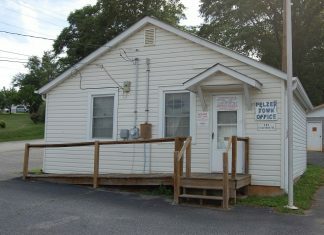 One of the Cadets was Captain Ellison Smythe, who later came back to the area and built the mills in Pelzer and founded the town. Addison explained that he used the faces of local men on the faces of the soldiers in his painting. 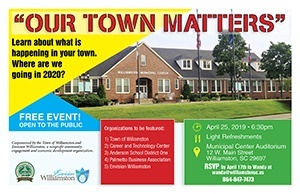 The Williamston Area Historic Commission paid for the framing of the print and the Town of Williamston paid for the inscribed plaque. Jane Tucker Addison provided wording for the inscription on the plaque. 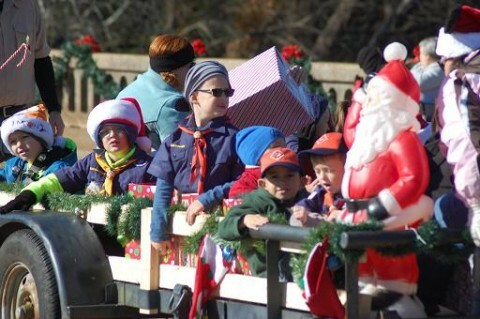 During the presentation, the town’s historic cannon was brought out for display. Williamston Town Councilman Rockey Burgess explained the history of the cannon. The cannon is housed at The Citadel campus during the college’s normal term and is cared for and maintained by the Palmetto Battery, which is the school’s gun crew. The gun is displayed, and sometimes fired, at ceremonial displays. 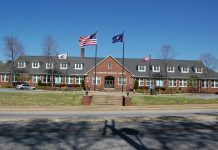 During the school’s summer furlough, the cannon is returned to the Anderson County Museum for display. The cannon is also available to the Town of Williamston for historic and ceremonial displays and firing. Attending ceremony were Thomas and Roni Addison, Rockey and Wendy Burgess and daughters, and about 35 passengers from Miss Etta Tours, who were there for the event and also took a guided tour of The Citadel. 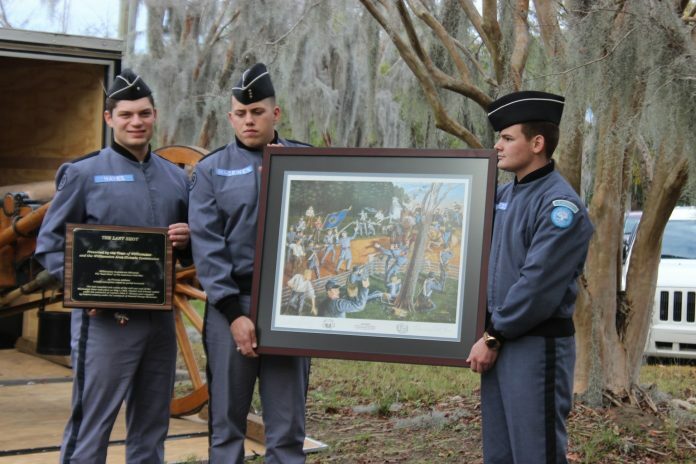 Citadel Cadets were presented a plaque and framed print. Pictured are Cadet 2nd Lt. Hayes, Cadet Captain Macewen, and Squad Corporal Austin Burgess.